Jewish.ru is the biggest Russian-language media dedicated to the history, ancient traditions and modern everyday life of Jews all over the world. Jewish.ru has been existing for 17 years. The number of its readers has recently started growing thanks to the efforts of the new editorial team. But the old site prevented the development of the project. The users were unhappy with unreadable font and the way the site had looked on the mobile devices. The journalists couldn't use modern online-media instruments because of limited functionality of the out-dated admin panel. The out-dated design reduced the depth of browsing the site. 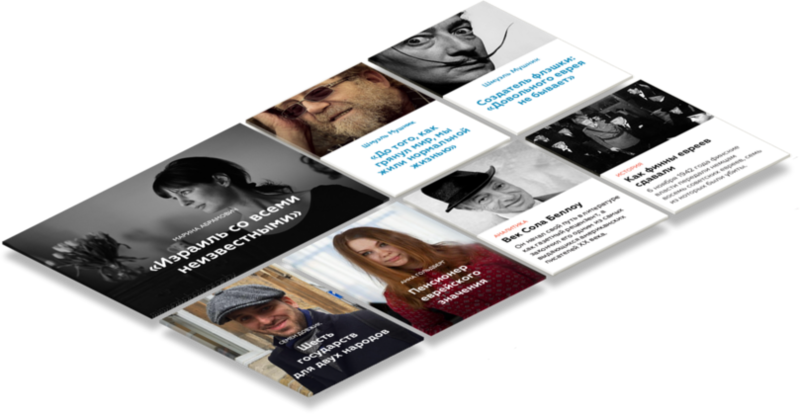 We've created an absolutely new site responding popularity and ambitions of Jewish.ru. Firstly we've designed a new logo and suggested a new style based on two colours important for the Jewish tradition – that are blue and white. Then we've changed the structure of the site leaving seven sections instead of twelve, added convenient scrolling to the news feed and a feature that allows to look for news for a particular day. We've constructed a new top panel (or informer panel?) with several items placed there: calendar, number of days left before the next Jewish holyday, a weekly chapter of Torah and special projects of Jewish.ru. All the items of the panel have direct links to the corresponding materials. 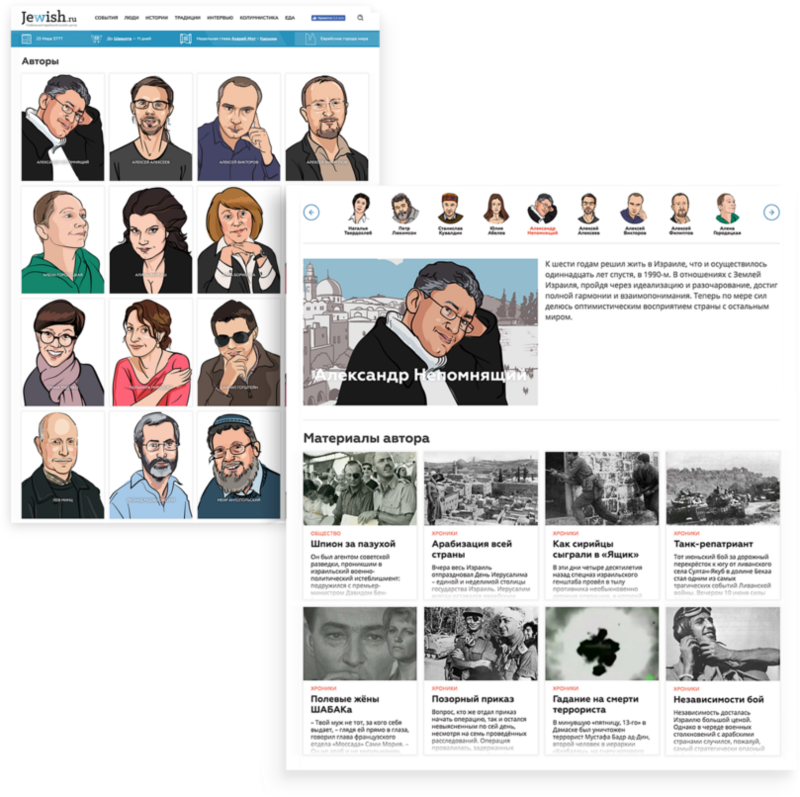 We've made three types of publications: standard card for analytics, reports and stories and two special cards for interviews and personal columns. New convenient admin panel allows to change the size of the cards easily and thus to highlight the most important issues. Different layouts of materials have become available: it's easy to stress the main ideas, to add video and audio items, make spectacular image galleries, etc. 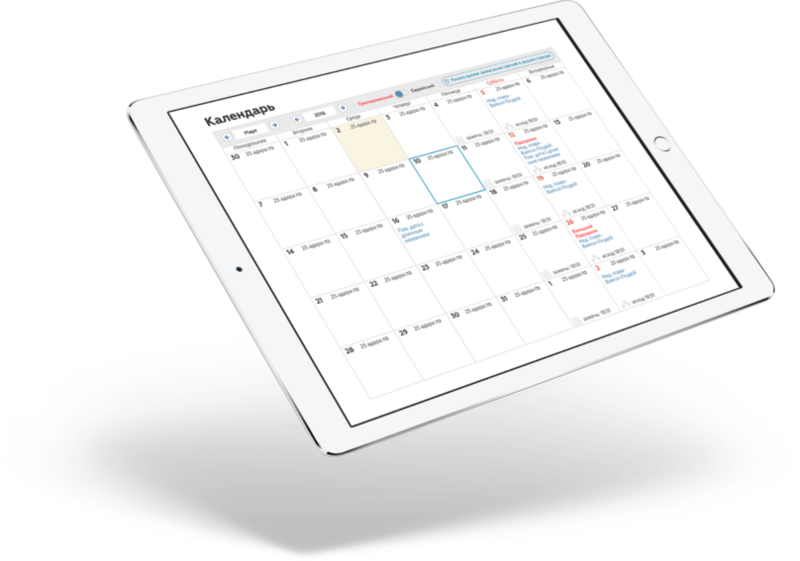 While developing the site our team has solved several technological problems including the realization of a complex calendar with instant switching between Jewish and Gregorian versions. There's precise time of the beginning and the end of Shabbat in the city chosen by the user. Each Friday field in the calendar has got a link to a weekly chapter of Torah; all the holyday fields are linked to relevant materials. All the stuff that had been accumulating for 17 years of existence of Jewish.ru has been automatically transferred to the new site. The materials were classified according to sections and genres. Besides the tag system was optimized: the redundant ones were removed (there had been somewhat about 5000 tags!) and the rest were divided into two groups: the most popular tags and those that are easily searched through the search field. 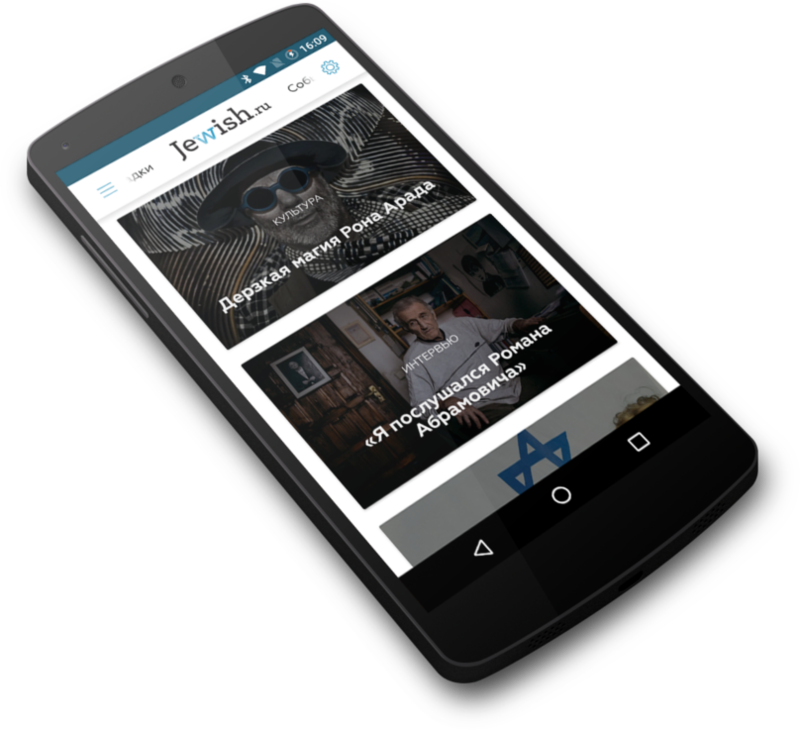 Alongside with building a desktop site for Jewish.ru our team has created certain mobile applications for Android and iOS for this media. Our aim was to make available all the materials from the old site through the mobile apps and to develop a number of exclusive mobile instruments. Application designs for smartphones and tablets differ. As the space of smartphone screen is strictly limited the design for this gadget is as follows: the list of headings looks like a spinning wheel; all the extra items are revealed by tapping a hamburger-button in the top left corner of the screen and can be easily hidden back by a click. Settings are placed in a similar button in the upper right corner of the screen. The report cards, news items and texts are displayed into one column all over the screen. Font size can be chosen by a user. 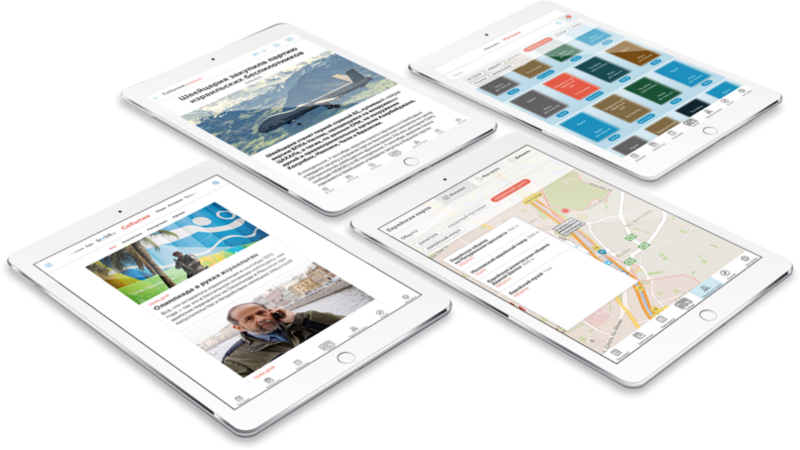 Tablet application design isn't limited by the size of the screen, so the tablet app resembles the site for desktop much more than the one for smarts. We've kept the top panels of the main site including the header panel with the logo and sections and the informer panel with calendar, weekly Torah chapter, holidays and special projects. All the extra-instruments and settings have got newly created icons that are placed at the panel locked at the bottom of the visible screen area. The main page, sections page and reportage pages are similar to the ones of the main web-site. Amongst available mobile instruments there're such commonplace ones as Bookmarks, and unique ones, such as Compass showing direction towards Jerusalem and Library with books for Jews and about Jews that can be bought online or downloaded for free. 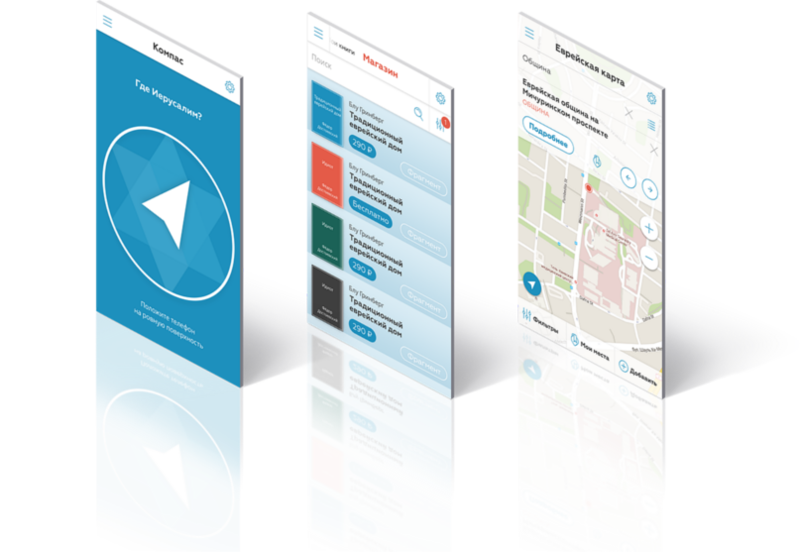 The main bonus of mobile apps is the Jewish Map showing kosher restaurants and canteens, Jewish museums, synagogues and community centres in the area. Users can add new objects and make lists of favs here – this stuff will be included into the common base of the Jewish Map after moderation.